Every purchase comes down to decision-making process. 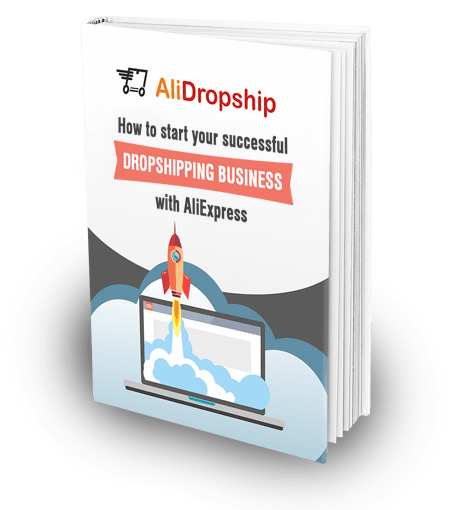 The good news is that you, as a dropshipping entrepreneur, can steer this process to making your clients buy from your store. And we’re going to list the necessary psychological triggers to pull this off. Have you heard about Airbnb? Most likely, you have: this company is well-known worldwide. But, do you know that its path to success wasn’t plain sailing? The founders of Airbnb had tried to launch it several times before the company picked up steam. One of their attempts was in 2008, during the US presidential election. Obama vs McCain. Their debate took place in San Francisco, where the entrepreneurs lived. Plenty of people were expected to arrive. A great event to get the ball rolling for such company as Airbnb, isn’t it? The main pain in the neck was funding the project. The sum of money they had wasn’t enough. The businessmen had to think something up. And they did! They bought tons of breakfast cereal. Then they designed boxes in “Obama/MacCain” style, filled them with the cereal and sold them out. Although the price was $40 for a box, which was about 10 times higher than the same cereal in the original package, people saw fit to buy it. The profit was abundant to cover all the expenses. Moreover, their experience encouraged a famous investor to fund their Airbnb venture. That is a great story, right? Besides, it’s a case in point of how psychological triggers work. Against their better judgement, people preferred to lighten their wallets for the cereal they could easily buy ten times cheaper. It’s simple. Just 5% of the decision-making process take place in our conscious mind. The subconscious (emotional) mind takes care of the rest of it. Airbnb founders touched a chord with American customers – got the emotional response. This is what every dropshipping entrepreneur should work towards to boost their sales. Yet, what could you do if you don’t have a degree in psychology? What are the triggers to make customers buy? Actually, you need no smoke and mirrors to help people make up their mind in your favor. There are some tried-and-tested ways and we’re going to list them. Two main things are deeply rooted inside human mind: avoiding pain and gaining pleasure. The “free” word means the both of these things for customers. It means they can get what they want, which is pleasant. And they don’t have to give something for this – which is painless, to put it simply. So, do your best to include the “free”word in your offers. For instance, “free shipping” is a phrase that works brilliantly! And it doesn’t actually have to cost $0: just include the shipping cost in the total item price to make it look affordable. By the way, you can read more about finding the cheapest shipping option here. Do you regret missing a chance of a lifetime? Not buying bitcoins in 2008, for example? Not the best feeling, is it? Right, people don’t like something slipping through their fingers. Limited offers in terms of products price and availability create the state of urgency. Customers are afraid of missing out some benefits. For example, let’s suppose you offer 30% off some of your goods for only 2 days. Many people who are on the verge of making the purchase will eagerly seize the opportunity. It becomes much easier to implement this if you have the necessary marketing tools under your belt. 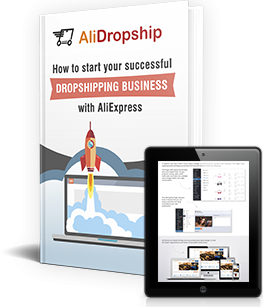 AliDropship team has developed a range of helpful tools while running its own online stores. Now, you can easily get them for your business as well. For the purpose of impulse purchases stimulation, you can install Countdown Timer that pushes customers to make a purchase by showing they’re running out of time. Another useful piece of software to make your clients pull the trigger is Promo Banner add-on. It will grab your store visitors’ attention and make them aware of the special offers. Do you always know what you want? People like to think they do. In fact, making a choice is a difficult and quite stressful process. Our subconscious mind is looking for some help to make a decision. Speaking frankly, we’re being confused when deciding. Thus, you can drop customers some hints while they’re visiting your site. In other words, you can literally point out what to buy. This practice is widespread. When sitting at restaurant, you may see some dishes in the menu put in boxes to stand out from the others. This makes visitors more likely to order them. By the way, usually these dishes are the highest margin ones. A great way is to show customers which products were recently sold in your online store. Fortunately, you have a tool to bring it off – Recent Sales Pop-Up. Take and use it. You are welcome. The hardest part of making a purchase is to make a decision. If customers have already decided to buy an item, their doubts and resistance wear away. If they’re ready to give some money for a product, what holds them back from spending a bit more? Good sellers know that this moment opens up the best opportunity to make some extra money. So, when your clients are going through the checkout process, it’s the upselling time. You can offer them some improved versions of the initial product that cost more or some cheap additional items which go well with it. Anyway, it’s not a big problem with Upsell add-on developed by AliDropship. Which number is larger – 7 or 8? Obviously, 8 is also larger than 7.99. But, the difference is miserable. Whether your product price is $7.99 or $8, it doesn’t make a big difference in your business. But, here’s some psychological trick. Customers unwittingly pay the most of their attention to the first figures. So, if a price is $6.99 instead of $7, the customers only see “6”. This pulls the trigger in their minds and they’re more likely to make a purchase. It’s not a brand new thing, but it still works like a clockwork. It’s one of the most important and efficient psychological triggers in the dropshipping business. Before making a purchase from an online store, customers need to make sure it’s trustworthy. Thus, your goal is to demonstrate how credible you are. First, you should get acquainted with your clients. People will rather buy from a store with some background than one they know nothing about. Therefore, you need some story. For instance, your website needs an “About us” page. There, you can tell customers when and why you started your venture and so on. Besides, you can increase awareness about your online store through social media. Social Rabbit plugin could give you a hand in pulling this off. Another thing which is necessary to build your online reputation is customer reviews. People tend to believe the same people as they are: regular consumers who share their honest feedback. Luckily, you can easily get the necessary feedback on AliExpress while importing products to your store. For this, you just need to install AliDropship Chrome Extension. Apart from the opportunity to add customer reviews, it has many other useful features, which you can learn about from this article. Having the story and positive comments will definitely win customer trust. We don’t like being obliged, do we? This feeling weighs us down and we want to get rid of it as soon as possible. If you give customers something for free, the responsibility to return the favor will lie with them. For example, you can send free coupons with some discount on the future purchases to your clients. This is highly likely to make them feel compelled to buy something. A good salesperson has the combination of knowledge and the necessary tools. Now, when you know the psychological triggers, you have the knowledge. And you could choose one of the listed add-ons to put it into practice. Or you can outfit your online store with the whole range of marketing tools conveniently combined in a single Add-on Bundle. Good luck!